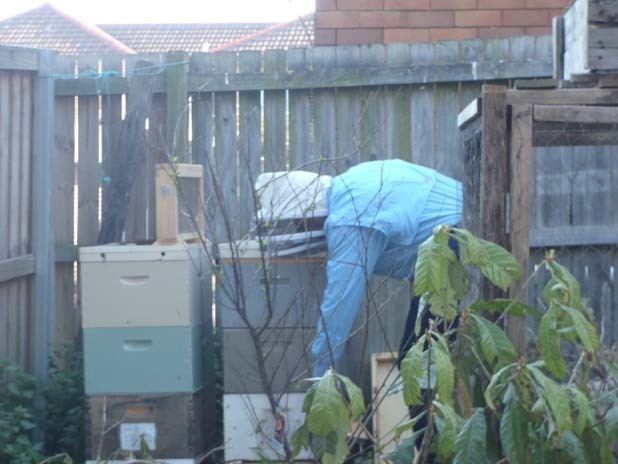 I had noticed a couple of days ago that a hive had queen cells and was ready to swarm so I headed back with a nuc and some empty frames to false swarm the queen and hopefully prevent a natural swarm from occuring. 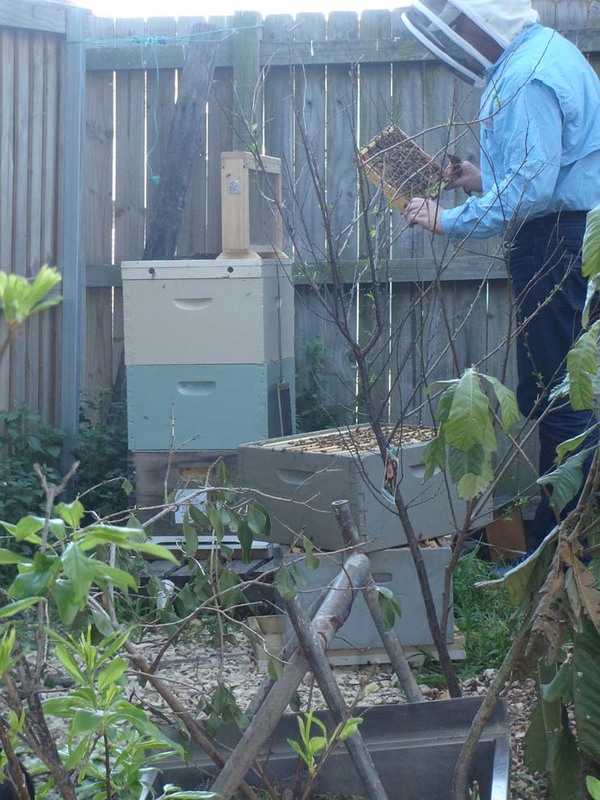 Once you see queen cells, it’s almost impossible to prevent a swarm; cutting out the cells is no preventative as they just make new ones and with the time frame to raise a queen being 14 days you really have to be on your toes looking for queen cells. 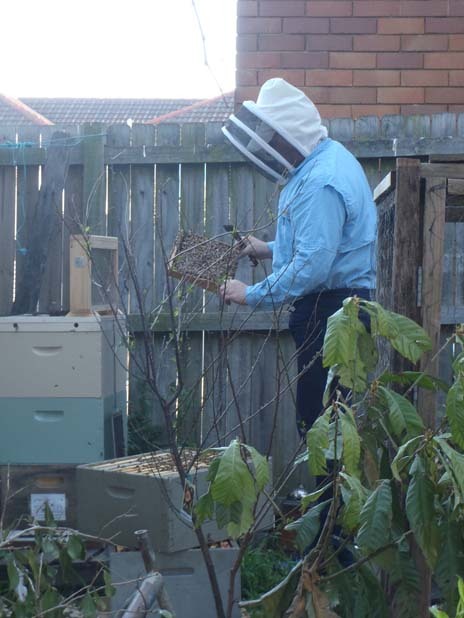 The best method if you see a queen cell is to remove the queen and enough workers to a nuc away from the original hive so they think they have swarmed. 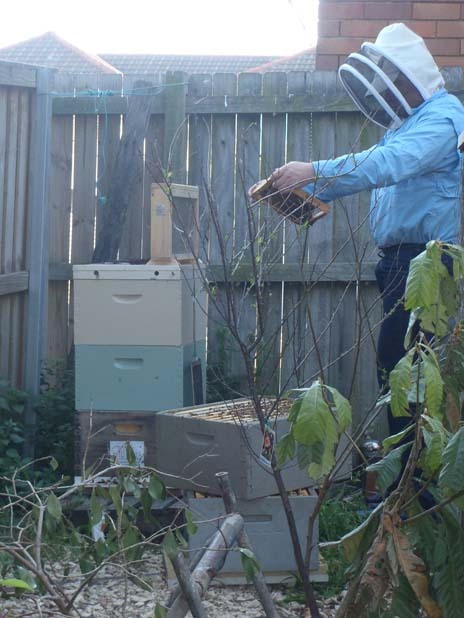 Replacing a few brood frames with undrawn wax and moving the brood frames up into a super is also a way of reducing the need to swarm. So I spent about an hour on two occasions during the day looking for her and she appears to have swarmed already which is a shame as she was a great queen.